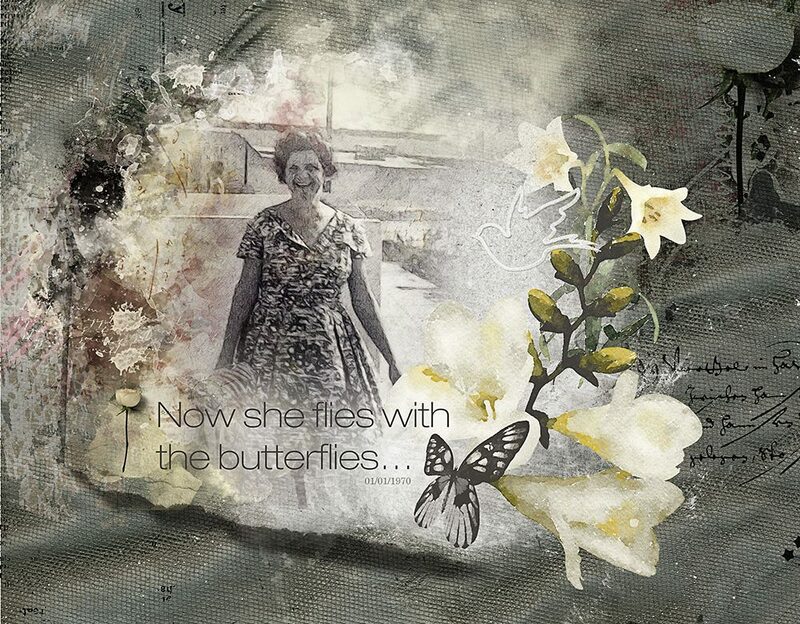 Remembrance Collection – Inspiration by Flor (aka twinsmomflor) Hello scrappers, I am having fun with another wonderful collection from Nicole. Love to make tribute or heritage in an artistic way. Nicole made it so easy for us to display our art. I duplicate the photo and converted to a sketch. I changed the mode to multiply and change the opacity. I placed a grey paper under both and clipped it to the page blender. I framed the photo with Artsy bits and pieces No1 and No3 and gesso. 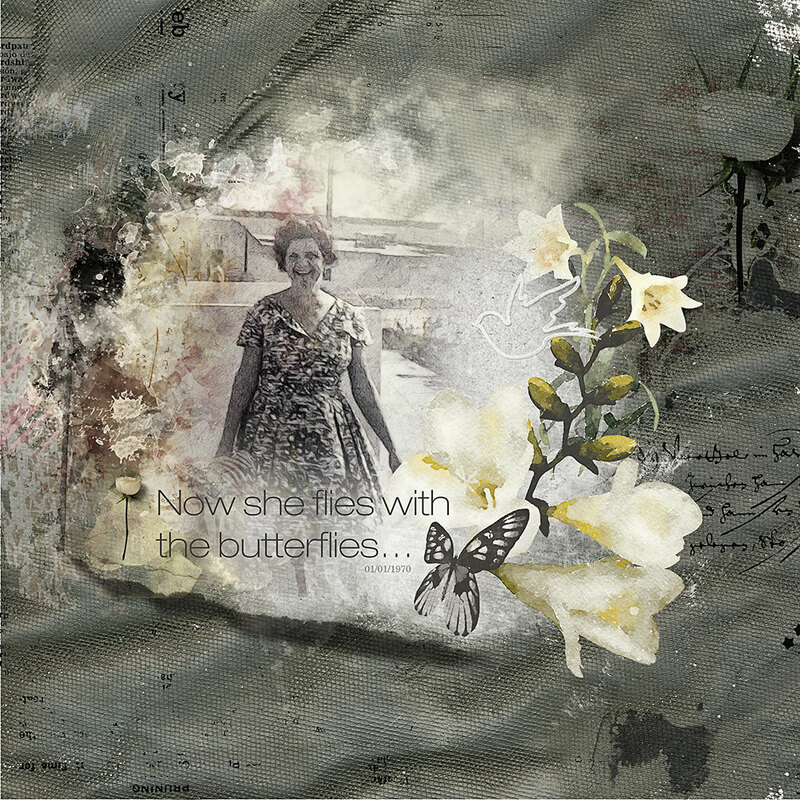 I placed the mixed media paper and another solid paper changing the mode to overlay and change opacity. Place more artsy bits on the top and wordart and fold corners.